In the wake of the Wednesday shooting at a Charleston, S.C., church that left nine people dead, John R. Lott Jr., the prominent researcher whose work is embraced in gun-rights circles, offered a theory of the gunman’s motive. At first glance, some mass shootings do appear to validate a central claim of gun advocates — namely, that killers strategically target gun-free zones because they expect weak resistance from unarmed civilians. But an analysis of the best available research points in the opposite direction: There is no evidence that mass killers select locations based on gun policy, or that lawful gun owners have been able to intervene to stop these attacks. In the Aurora case, the shooter gave no indication that the theater’s gun-free policy played a part in his motives. His personal journal, made public during his ongoing trial, contains not even a cursory mention of gun-free zones or the consideration of armed civilians, but instead details a more pressing concern about how to attack the “isolated, proximal, large” space: finding the right parking spot. Central to Lott’s argument against gun-free zones is a 2000 study in which he claimed to find that the expansion of RTC laws reduces the number of people in those states killed or injured in multiple-victim shootings by a staggering 78 percent. Lott’s study, however, suffers from enormous flaws, including incorrect statistical modeling and dubious data-selection methodology. In one example of statistical malpractice, Lott excludes many mass-shooting incidents in which the shooter was committing an additional felony (such as armed robbery) during the crime, despite the fact that felony-related mass murders account for 36 percent of the data set on which he bases the study. Lott’s explanation for doing so was an unjustified presumption that bystanders in crimes like robberies or drug deals will already “be engaged in unlawful activities that often require them to carry guns.” However, analysis of this claim reveals that 69 percent of the mass shootings excluded by Lott involved robberies committed in public locations (like convenience stores and fast-food restaurants) where the bystanders were innocent civilians. If RTC laws are to have any effect at all, then surely they would apply to such situations, making it unclear how Lott could choose to ignore them. This was the case on October 21, 2012, when a gunman barged into the Azana Day Salon in Brookfield, Wis., searching for his estranged wife, who had recently filed a restraining order against him. Despite the order, he still managed to purchase a firearm through an online source. The man murdered three people and wounded four others before finally turning the gun on himself. While active shootings have similar characteristics to public mass shootings, they are defined by the activity of the shooter rather than the casualty count. Hence, active shootings include incidents that were stoppedbefore the “four or more deaths” threshold to reach the commonly used classification as a mass killing with a firearm. This is extremely useful from an analysis standpoint, as it allows for a more complete picture of which public places shooters are targeting, their potential motivations, and what actions could be taken to reduce casualties. Of the 39 shootings in the study that occurred in educational environments, 31 of the shooters had some relationship with the school (27 were current or former students). Out of 23 businesses with no pedestrian traffic (i.e., private offices rather than stores) where shootings occurred, 22 of the shooters were current or former employees. These shooters are overwhelmingly motivated by some grievance rather than a desire to maximize casualties, which makes it highly unlikely that a gun-free policy had any bearing on the choice of target. The exceptions to this pattern are shootings that occur in open areas and businesses with pedestrian traffic, such as the shootings in Tucson and Aurora. Lott would argue that both of these location types are prime targets for shooters intent on maximizing casualties, as he did in a Chicago Tribune column in which he encouraged citizens to arm themselves before visiting the Mall of America to protect against the threat of terrorism, in defiance of the mall’s rule barring shoppers from carrying guns. But counter to what gun-rights advocates claim, many of the active shootings in the FBI’s database occurred in areas that were not gun-free zones. Our own analysis of the FBI study, in which we looked at all 160 incidents, examining state and local laws along with the firearms policies of individual businesses, found that of the 65 shootings in open spaces and businesses with pedestrian traffic, at least 25 occurred in areas permitting firearms. That may amount to less than 50 percent — but we counted only those cases in which the evidence indicating that the open space or business was not a gun-free zone is unmistakably clear. Complicating this analysis are differences in state laws governing whether “no-firearms allowed” policies in businesses are actually enforceable, and the fact that many concealed carriers aren’t aware of (or deliberately ignore) no-firearms policies. For example, out of six mall shootings included in the report, two occurred in malls with gun-free signs, and yet armed citizens attempted to intervene. In the Clackamas Town Center shooting in Oregon, a permit holder confronted the shooter (but did not fire) at the end of the rampage; in the Trolley Square Mall shooting in Salt Lake City, an off-duty police officer helped subdue the shooter. Both men were in explicit violation of gun-free policies — but their presence means that for the shooters’ purposes, those malls were not gun-free zones after all. A study conducted by Everytown for Gun Safety further corroborates the active-shootings data by examining every mass killing with a firearm between January 2009 and July 2014. (The Trace received seed funding from Everytown for Gun Safety.) Of the 33 incidents that occurred in public places, 16 took place in part or wholly within areas where guns could be legally carried. Two more incidents occurred where an armed guard or police were in the immediate vicinity. Gun-rights advocates have long defended the public carrying of guns on the basis of a widely debunked 1992 study estimating 1.5 million to 2.5 million incidents of defensive gun use per year. Armed citizens, they argue, can uniquely limit the damage of a would-be mass shooting by stopping it before it escalates. Empirical evidence, however, indicates that defensive gun use may occur far less frequently: According to the Gun Violence Archive, there were only 1,600 verified accounts of defensive gun use in 2014. The best current statistical model, which corrects for numerous weaknesses in Lott’s body of work — including coding errors (in his 2000 study on Right to Carry laws, both Philadelphia and Idaho had their “year of adoption” dates for concealed-carry laws coded incorrectly), a lack of standard criminal-justice controls, and a lack of clustered standard errors (a standard econometric practice) — suggests that concealed-carry laws may actually increase the rate of aggravated assaults. The same FBI report analyzing active-shooting incidents from 2000 to 2013 decisively refutes the idea that average civilians would be likely to stop would-be mass shootings if only gun-free zones didn’t stand in the way. 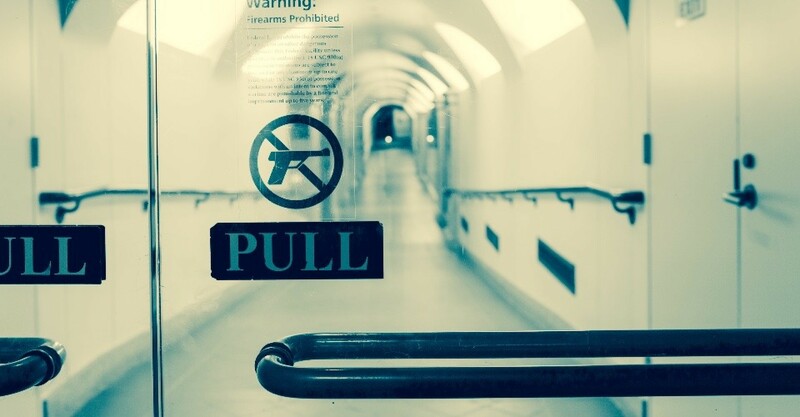 By focusing on active shootings rather than mass shootings, we are able to test the hypothesis that the reason so few mass shootings are prevented by permit holders is because the incident is stopped before the casualty count reaches the mass-shooting threshold of four victims. The report found that of the 160 incidents, only one active shooting was stopped by a concealed-carry license holder: a U.S. Marine. In comparison, four shootings were stopped by armed guards and two by off-duty police officers. Twenty-one were stopped by unarmed civilians. Lott and other gun advocates also frequently reference incidents that were rightfully excluded by the FBI authors because they bear no resemblance to an actual active-shooting situation. To buttress his case, Lott maintains ahighly selective list of incidents that, as he explains, “only includes cases where mass public shootings were stopped.” But this roster of prevented “mass public shootings” includes two knife attacks (neither of which had any fatalities), a Marine firing his gun in an empty parking lot, several robberies (a type of incident Lott excludes from his statistical analysis), and, under “possible cases,” the Tacoma Mall shooting, in which a permit holder confronted the shooter and was swiftly gunned down and subsequently paralyzed for life.